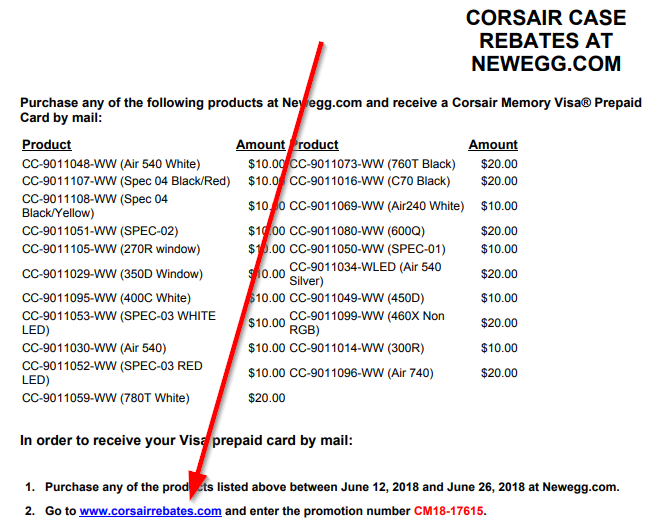 For your convenience, Newegg advertises current Manufacturer rebates on our website. If an item comes with a mail-in rebate, we’ll put a link to the rebate form under the price on the item’s page. If you forget to print a rebate and you can’t find the link, you can find a link to print your rebate listed next to the order and item in your Order History page. Or you can go to our Rebate Center and search for your item number. How do I apply for a Rebate offer? Step 1. From within your order history, click on the “Print Rebate” link. Step 2. Click on the link in the rebate form that pops up. Step 3. Fill out the form with all of your information, select if you want a Newegg store credit or a check to be mailed to you, then click the “submit button at the bottom right. How to track/check the status of your rebate? For Newegg in-house rebates, we ask that you see HERE for more information. For other rebates, please see below. Step 1. 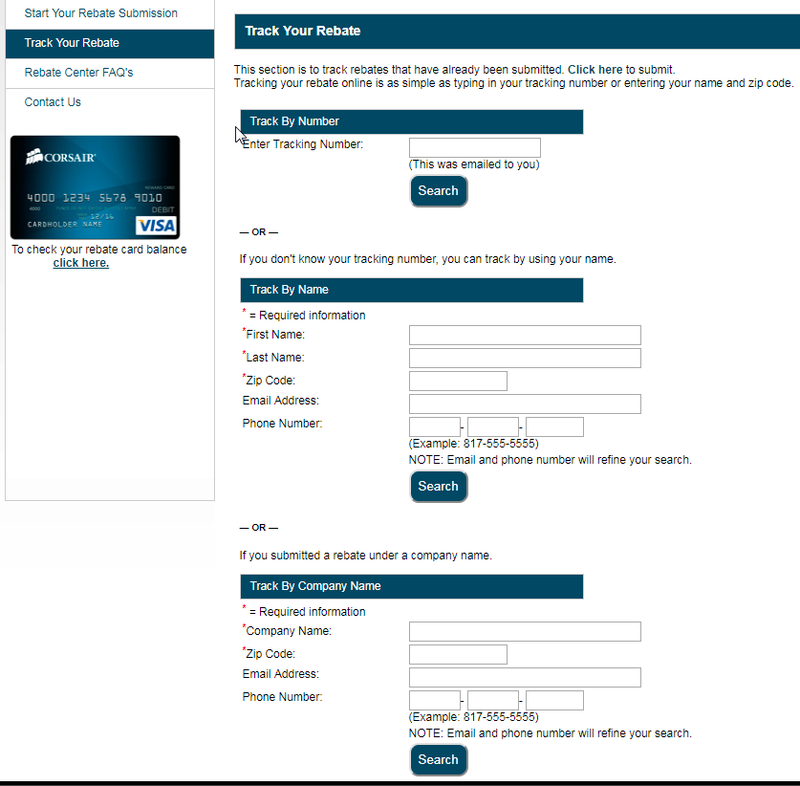 In order to track the status of your rebate, please go to the rebate processor’s page found on the rebate. Step 2. Locate the area that will allow you to track your rebate and enter in the information that is asked for on the rebate tracking page. Please make sure you are entering in the information you you used when submitting your rebate. Step 3. After entering in your information, you will be able to view the status of your rebate as well as have the option to view your rebate form and email the rebate form to yourself. 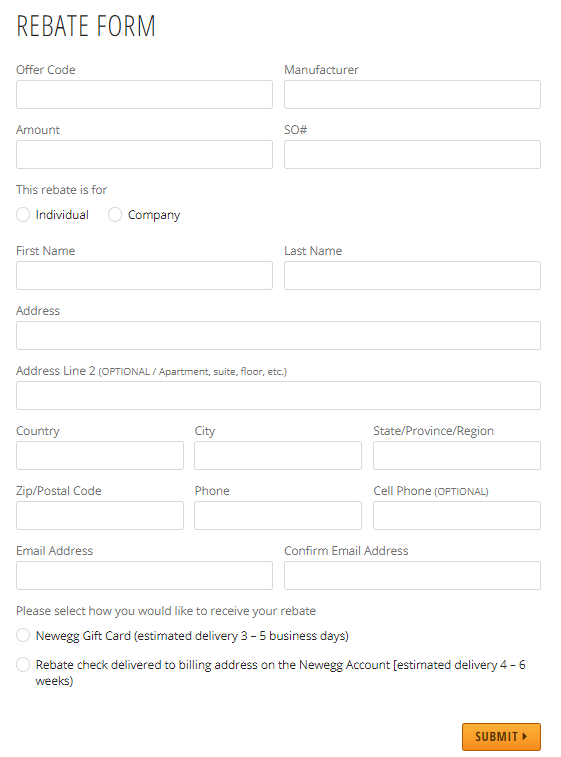 Rebate forms are not included in your package. You will need to print them out online. Manufacturer mail-in rebate offers are fulfilled by the manufacturer exclusively. The prices on our website do not include rebate savings. Use of these rebates are limited to any terms or conditions provided by the manufacturer. If you have any questions regarding a rebate’s terms & conditions and/or how to redeem the rebate, please contact the manufacturer directly.